Could a suspended ceiling save you money? 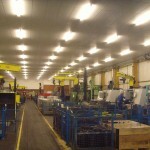 With ever increasing cost of fuel and power to heat a factory, production or warehouse area. .. many companies should consider suspended ceilings. 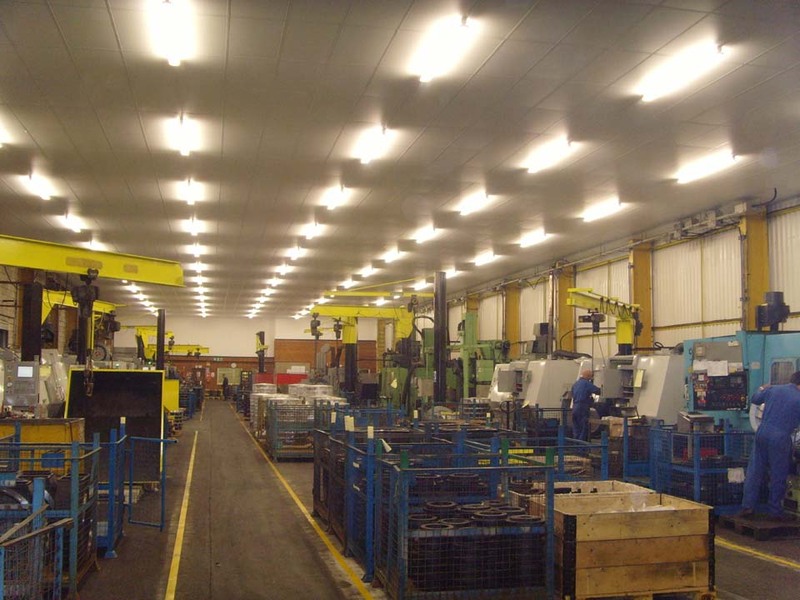 Look at the picture, we have installed a suspended ceiling in a typical production machine shop. The existing machine shop has a high roof eaves height of 8m to 9m and we have installed a suspended ceiling quickly and easily which not only provides a better working environment but saves significant fuel costs on heating a smaller cube rather than a larger cube. Suspended ceilings by Storage Concepts can be quickly and easily installed into factories, production, warehouse and retail areas. They are quick, easy and economical to fit and will provide a better overall aesthetic appearance as well as retaining heat and sound attenuation. For further details regarding installing a suspended ceiling at your office please contact Storage Concepts on 01664 410414 or use the contact form here. Storage Concepts – Making Space Work for You.